The third of the most rare pets is here, the Gundrak Hatchling. It's as hard to obtain as the previous rare pets mentioned in pet gold making tricks, such as Hyacinth Macaw and Captured Firefly. If not even more time consuming due to the increased level requirement. Get some snacks and drinks, it's gonna be a long farm! ..Or is it? Your second best source for Gundrak Hatchlings! It may drop after a minute.. Or a week! Like all of these rare pets, the drop rate is only about 0.09%, which means you will have to kill a lot of monsters before you finally see it drop. That said, you should take the farming in short sessions so you won't tear your hair out. You may have to kill only a few monsters to see a Gundrak Hatchling drop. Or if you're very unlucky, you will never see it drop. Raptor pets do not sell as much as the other rare pets. Even now there was one for sale for 4.5k gold only, but I've flipped several for more than 10k gold. Flipping is always a good choice if you don't like endless grinds. 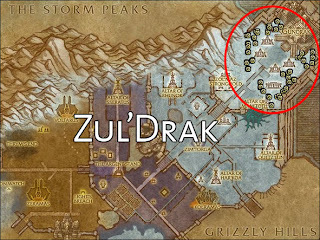 Gundrak Raptors spawn in Zul'Drak only. 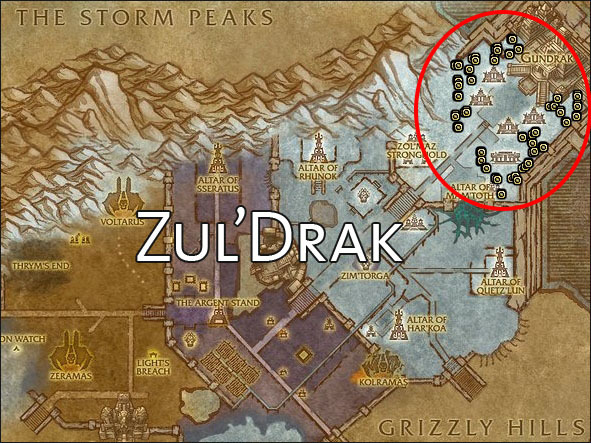 Gundrak Hatchling can be farmed in Zul'drak. It drops from only one type of mob! But don't worry too much. They have super fast respawns so there's no downtime even if you are oneshotting them. If you are level 75, you can farm these until you are 80, provided you like grinding!